"Committed to providing basic free Health & Education facilities for to underpreviledge people of the world"
This is where all of the photo shows will go. Hope Hospital, a project of Al-Ain International Trust. Al-Ain held another successful Free Eye Camp in Jhelum, under the supervision of Al-Ain General Secretary Zahid Mahmood Qureshi. The pictures of the Hope Hospital giving highlights of latest construction, which has took place during 2010. Al-Ain helped Jehlum girls school with IT equipment donated by Nottingham Trent University. Al-Ain helped Dar-E-Ul-Aloom with IT equipment donated by Nottingham Trent University. Haji Taleh Mehdi, Chairman of Al-Ain visited earthquake affected areas to deliver aid. Al-Ain Helped these Orphans with their education. Al-Ain funded a free eye camp in Bangladesh with the help of local authorities. At the Hope Hospital, doctors are checking patients and giving them the necessary medicine. Al-Ain continues it's support in the remote areas in Bagh and promises to provide further medical camps in the area. Provide someone lifetime Knowledge; Donate School Bag £2, Books Voucher £5 and Uniform £10. Support an Orphan in primary/secondary school £300 per year. 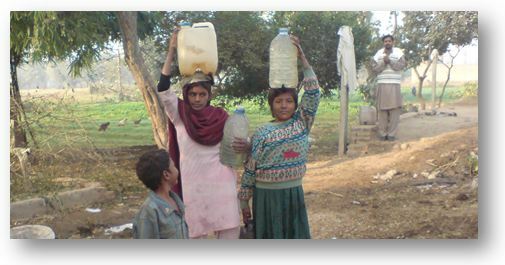 Support our Clean Water project to save lives. Donate £300 for a Hand Pump. MNA National Assembly, Ch Ayaz Mir to attend the Health Mela organised by Al-Ain International Welfare Trust at their Model Hospital. Highlights of the two Free Eye Camps carried out in Bangladesh during April and June 2009, have now been added to our photo album. 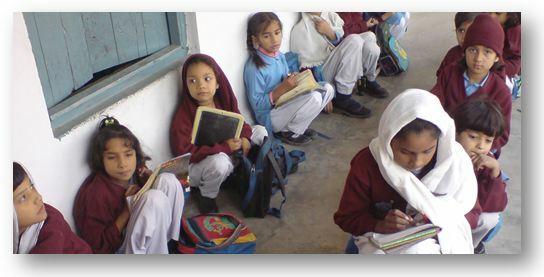 "I believe Al-Ain International Trust will meet the basic health education needs of the Pakistani society." - Fazel Rabbi Sec.General AIT (UK). Daily Jammu Kashmir reported that Al-Ain International promised to provide additional aid to earthquake effected areas in particular remote areas of Bagh in Azad Kashmir. In Nottingham we currently have 2 shops. All of the shops are charity and recycle shops. Copyright © 2013. All Rights Reserved. Al-Ain International Welfare Trust is a registered Charity No. 1100246. Registered as a Company limited by guarantee in England & Wales No 05410815 Registered Office 45, Berriddge Road, Nottingham. NG7 6LW. Charity is also Registered in Pakistan Registration No. 3502.